New Holland Agriculture announced its support of the Sustainable Innovation Forum as Gold Sponsor and its participation in one of the event's three plenary panel sessions. Hosted by Climate Action in partnership with UNEP alongside the Doha 2012 Climate Change Conference (COP18), the Sustainable Innovation Forum will bring together over 500 senior figures from business, governments and NGOs on 6 December to discuss how to mobilize public-private partnerships, the challenges of sustainable urbanization with an ever-increasing population, and the latest advances in technology and innovation. Gaurav Sood, Head of Crop Solutions at New Holland Fiat India, will take part as a panelist in the Third Plenary panel session Technology and Innovation: accelerating the green economy, which will focus on the latest breakthroughs in green technologies and innovations being developed by business and industry. He will bring to the discussion more than 20 years of experience in the agriculture industry, his ability to evaluate agricultural trends and assess appropriate farming technologies and equipment, and his expertise in biomass collection systems. "Climate change represents one of the greatest challenges of our age," commented Franco Fusignani, New Holland Agriculture Brand Leader, "but it can also be seen as an opportunity to catalyze a transition to a low-carbon, resource efficient, sustainable agriculture. 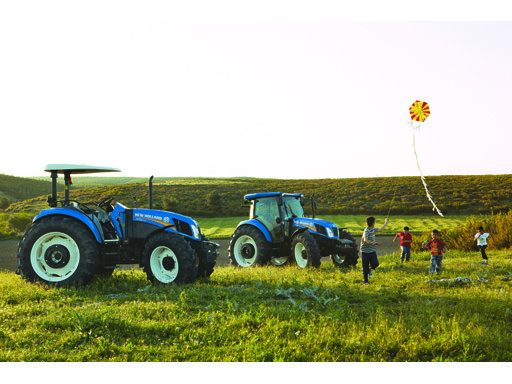 "Available video includes new shots of New Holland Agriculture product line-up.